Sawada commanded 13 Army in central China when war broke out. His army fought in the Chekiang-Kiangsi campaign of May-September 1942. This campaign was largely a vengeance operation against those areas through which the Doolittle raiders had passed on their way to Chungking and safety, and has been estimated as costing the lives of a quarter million Chinese civilians. 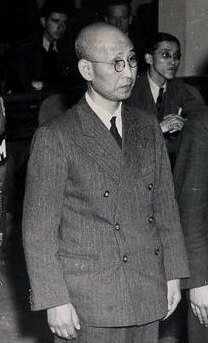 Sawada was sentenced to five years' imprisonment at Shanghai on 15 April 1946 for failing to extend prisoner of war status to the eight captured Doolittle raiders. The relatively lenient sentence took into account Sawada's protest to Hata that the death sentences given three of the prisoners were too severe.